When it comes to skincare, you might think that the only important aspect is the products that you use on your skin. This is not true and healthy skin requires several different components to look its best including drinking plenty of water and eating a healthy diet. 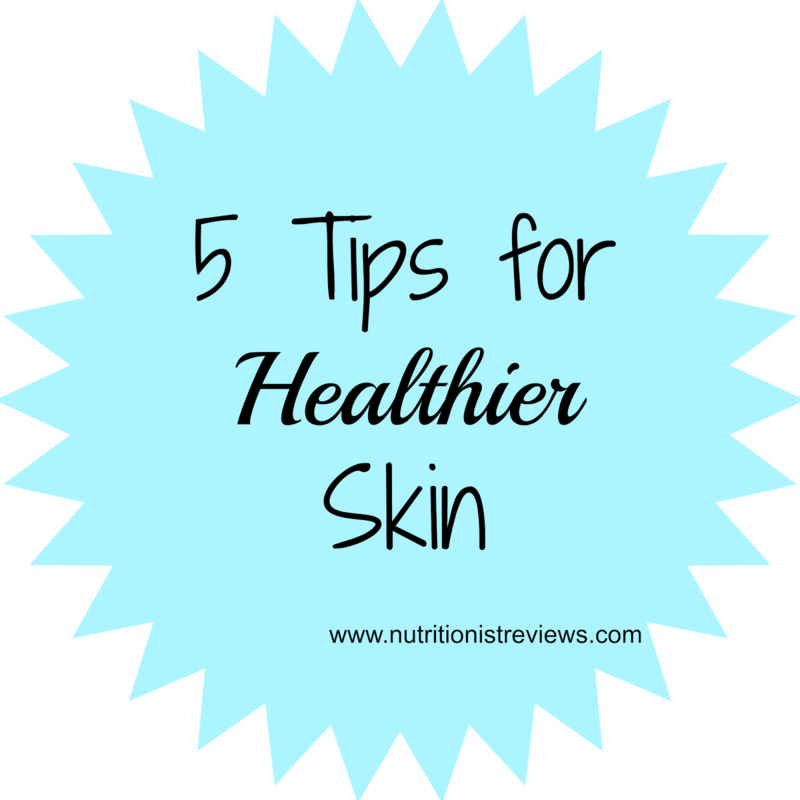 Here are my 5 tips to having healthy skin. 1. Eat the rainbow- Eating a variety of fruits and vegetables gives you the nutrients that your body needs to keep your skin looking healthy. Choose fruits and vegetables rich in antioxidants such as berries, pomegranate or greens which helps to speed up healing and creates more collagen which will help your skin to look its best. Tomatoes for example are rich in lycopene and can actually help to prevent sunburn. Foods such as carrots, tomatoes and sweet potatoes are rich in carotenoids which help to slow down cellular damage making skin look more youthful. 2. Skip the salt- From personal experience, eating a lot of sodium does not make your skin look good. When I was in college living in the dorm, the food was quite salty and I ate way too much making my skin look poor. Excess sodium can make you bloated and swollen which is not a good look. Stick to the recommended amount of sodium (or less) daily. 3. Drink lots of water- Hydration is extremely important in keeping your skin looking its best. I often get compliments on having clear skin and along with a healthy diet, I think that drinking plenty of water keeps my skin clear and looking fresh. As a minimum, have 8 glasses of water per day. I personally drink at least 12 8-oz glasses of water because that is what helps me feel my best. Water helps to move nutrients into the skin and helps to move toxins out which gives you that healthy skin that you are looking for. 4. Don't wash too much- I have very dry skin and if I washed my face twice a day or more, it would be even more dry. I only wash my face one time per day maximum in order to keep my skin as moisturized as it can be. 5. Use moisturizer with SPF- The sun can be very damaging to your skin and using a product that contains SPF can be very beneficial, especially in the sunny months (although is important yearround). Preventing sun damage is important since once the damage is done, it cannot be corrected. I recently tried the NO-AD products which is an anti-aging body lotion line that is sold at Walmart. I tried the Prevent and Repair and Prevent and Brighten products which are SPF 15. I loved the light scent of this lotion and liked knowing that my skin was being protected from the sun. I have been using this on my face and body. It is light and not greasy. Check the list of stores that NO-AD is sold at. To save $2.00 on any NO-AD Anti-Aging Moisturizer pump lotion which is 40% off or spray lotion which is 33% off, use this coupon. The pump lotion retails for $4.97 for 12 oz and the spray is $5.97 for 6.5 oz.